Whether it is the first time you breathe underwater or you are already an experienced diver interested in learning more about diving, our team will teach you anything you want to learn underwater. We highly live up to the standards of the PADI teaching system and can guarantee you a fun and educational diving experience. 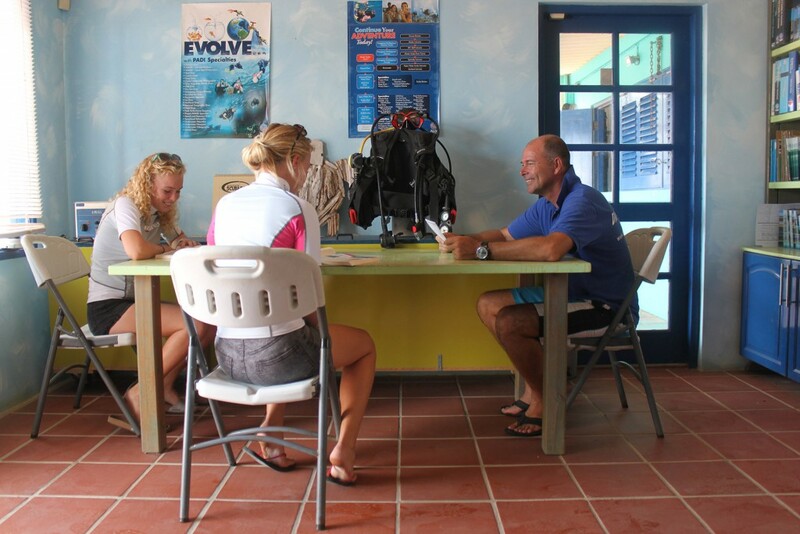 A very interesting and convenient way to start your dive courses is to do the theory, including exams online with PADI’s eLearning program and do the practical sessions and dives on Bonaire. This way you save more time on your vacation to actually go diving. Check out the options @ PADI’s eLearning page today! All rates are in US Dollars and including legal taxes. Only DSD and Open Water Diver courses include gear and air.